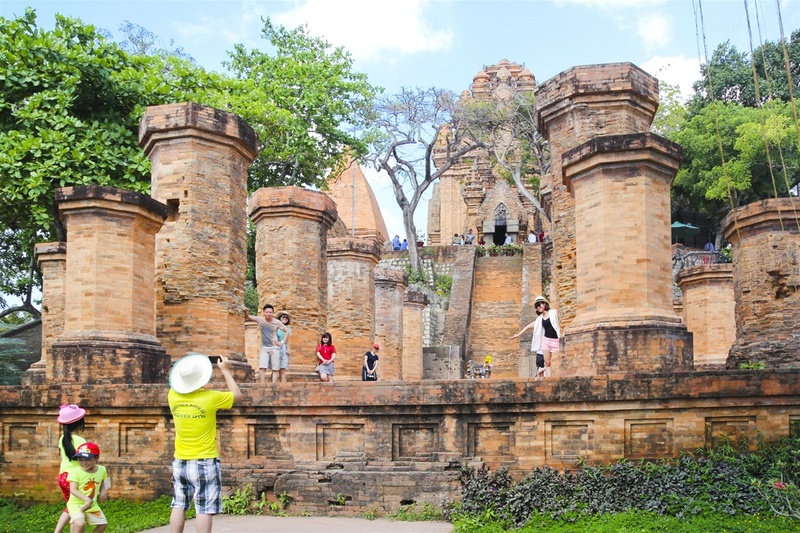 Ponaga tower, built before 781 is where Hindu religious rituals take place daily. It is dedicated to Yan Po Nagar, the goddess of the country, who came to be identified with the Hindu goddesses Bhagavati. 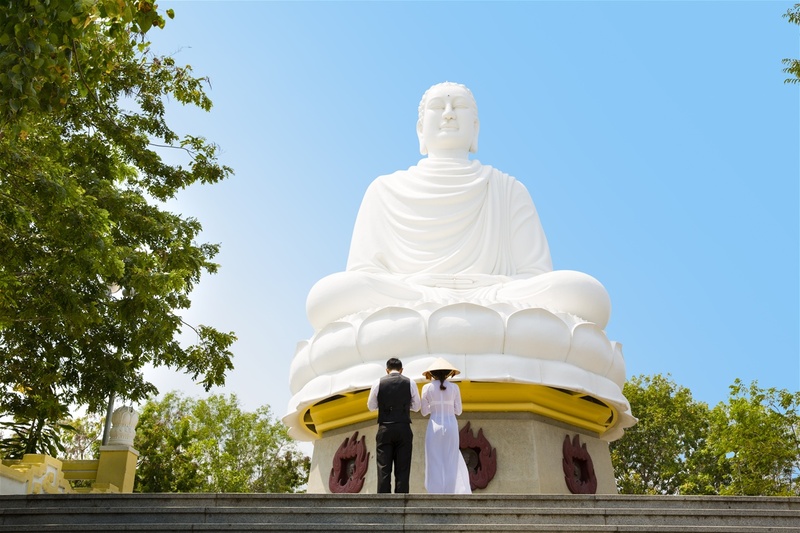 Long Son Pagoda, the tallest Buddhist temple in Nha Trang. 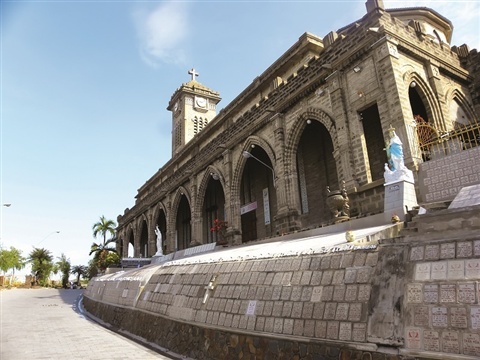 Nha Trang Cathedral, the Roman Catholic Diocese of Nha trang began work in 1928 and finished in 1935, a must-visit destination for Catholic and non-Christian visitors, with Gothic arches and Roman architecture. Nha Trang Oceanography Institute, established in 1923, is one of the first and biggest museums ever built in South East Asia, dedicated to scientific research, exhibiting over 20,000 specimens of rare marine life. 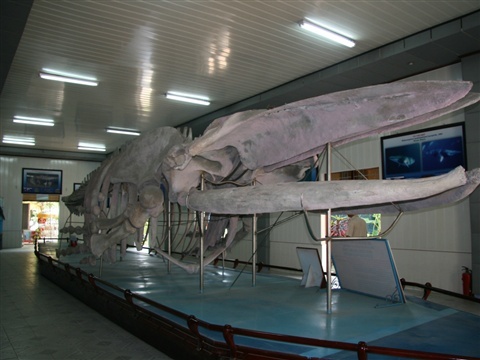 It also has an 18 meter long whale skeleton. 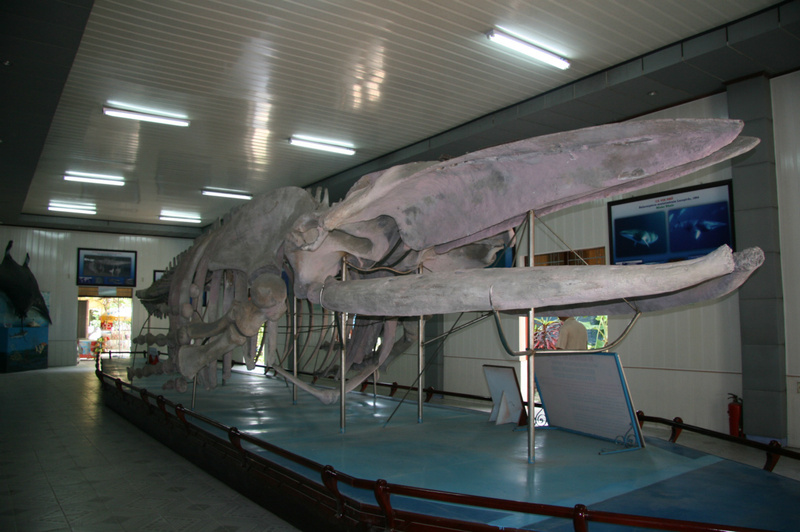 Included are rare skeletons and a mummified body of a preserved mermaid. 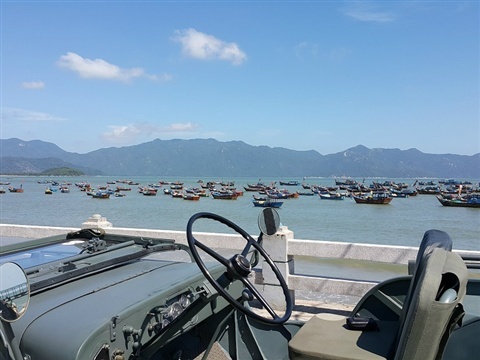 Vinh Luong fish port, to the north of Nha Trang is where nature's bounty is landed. 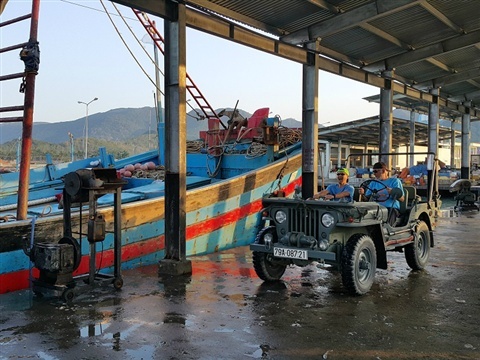 Fishing vessels of all sizes, in their traditional colors of blue with red trim, return from the seas in the early morning light to unload their catch. 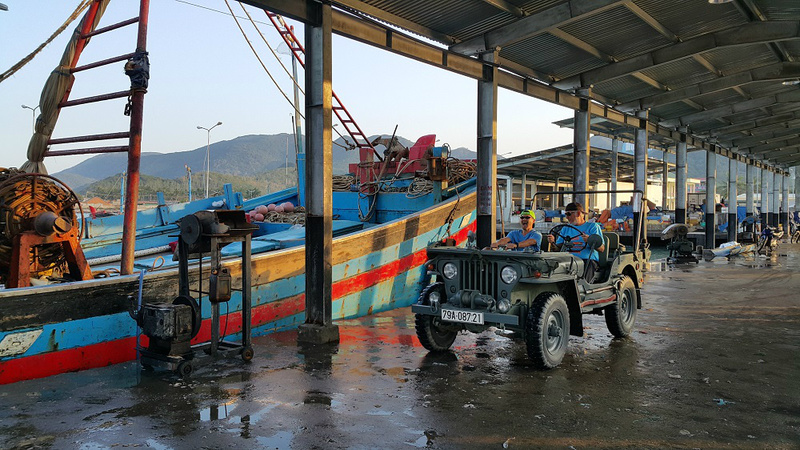 Sea food wholesalers are first on the scene, to collect the freshest fish of the day, and deliver it by start of business, to the many restaurants in Nha Trang City. If you are keen on buying the freshest of the fresh seafood, then come along to the pier, and you will find a number of merchants dotted around the area with some wonderful fish. 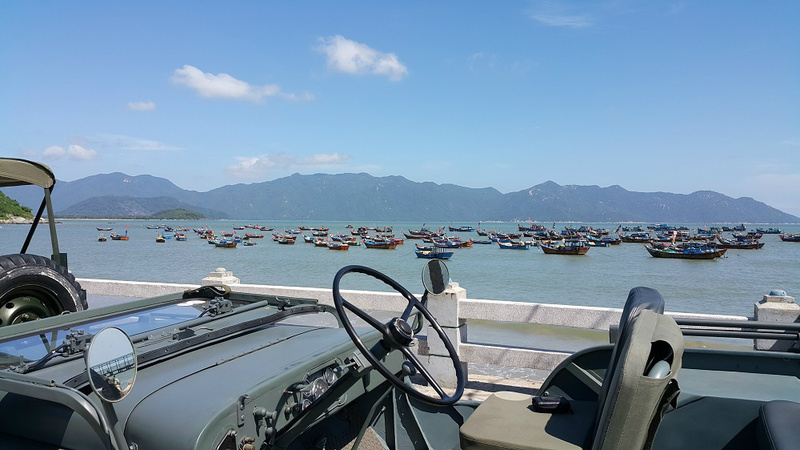 A visit to the fishing village, is a window into the culture and traditions of Vietnamese life, and is a must do. 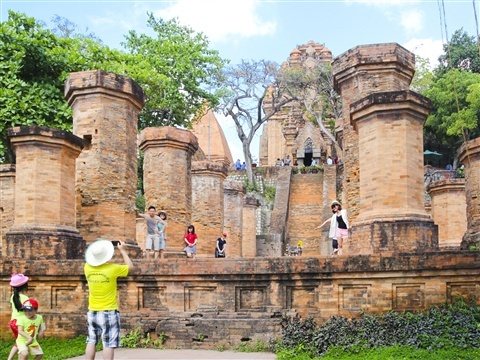 English-speaking tour guide, light refreshment and all fees, tickets. See guests' reviews on TripAdvisor/Jeep it up!